Keeping up with daily plumbing care should be a priority. Keeping the various components of your plumbing clean is an easy way to keep your system happy and healthy. It’s also a great way to be aware of any changing conditions or developing issues so you can take the appropriate repairs to avoid a disaster. Unfortunately, even the best preventative measures can’t stop your home from becoming a plumbing nightmare should luck be against you. In which case, a well-timed visit from one of our emergency plumbers can help you control the situation and return your home back to normal. No amount of drain cleaning will help you if you’re up against Mother Nature. The fact of the matter is, when it comes to weather and geography, she always wins. One of the most common issues behind the emergency calls that we receive has to do with destructive tree roots affecting your drain and sewer lines. Roots are attracted to moisture, and they will stop at nothing in order to reach that source – even if that’s your pipes! Get Rid Of Those Tree Roots! The strength of these root tips has to be admired, as they only need to find a small fissure within the walls of the pipes in order to make their way inside. Once inside, they never want to leave. The inside of these lines creates the perfect climate for these searching roots, as it contains all the things it needs to live. Once they benefit from the moisture, oxygen, and nutrients inside these pipes, the roots will begin to grow. Eventually, their presence in your lines will affect the way your plumbing and drainage system works. Their roots act as a catch-all net, trapping sediment, grease, oils, and other debris leaving your home. At first, this kind of blockage will decrease the flow of your drainage system until eventually, it’s blocked completely. When it comes to tree roots, we’ve designed a convenient, non-invasive way to locate and remove obstructions. Our emergency plumbers use a state-of-the-art camera that offers a 360-degree view of your lines. Once they identify the location of the blockage, they can use a combination of hydro flushing and trenchless technology to remove the obstructions and repair any damaged pipes without having to dig up and disturb your driveway, landscaping, or other property. It’s quick, convenient, and keeps your costs to a minimum. That’s what why our plumbers use it. Just like our tips for preventative cleaning and maintenance, it’s to ensure that your drainage and plumbing system is cared for as easily and affordably as possible. Even when there’s an emergency, we offer you a clear, logical, and quick way to keep your plumbing on track. So the next time Lady Luck and Mother Nature conspire against you, remember us – the emergency plumbers you can rely on! When faced with a backflow problem, your home can be brought to a standstill. Something as simple as flushing a toilet or doing the dishes will be impossible when the lines leading from your home are blocked. That’s why we’ve made our emergency plumbers available 24/7. We don’t want you waiting for assistance for a few hours (or more) until our offices are open. Should you realize that your sewer lines are blocked at 2 o’clock in the morning, then you should expect to speak with a plumber at that time. You can call one of our emergency plumbers at any time of day or night, and they’ll make their way out to your home, armed with the appropriate equipment. Worried About A Plumbing Problem? Backflows and tree roots are two out of the many common types of problems that can occur with your drains. While these two issues do not show immediate problematic results, the long-term effects can be drastic. 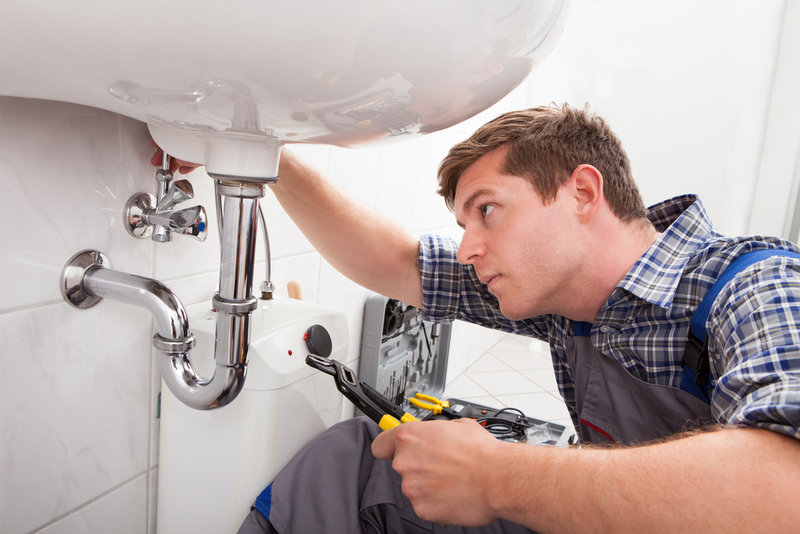 Every plumber emphasizes the importance of plumbing care. Plumbing care is not addressing a problem when it is too severe or resorting to questionable DIY methods on the Internet. Yes, the Internet is a vast and helpful resource. However, the information should not be weighted just as important as a professional. Do take into consideration the advice you find on valid plumbing websites. But keep in mind that all systems are different. And depending on how your house is structured, an innocuous method can be potentially dangerous or hazardous. As such, the best and logical preventative plumbing care is to consult an experienced plumber. He or she will take a close inspection of your home architecture to deliver the best plumbing care accordingly. We at Hy-Pro Plumbing & Drain Cleaning love to assist people like you. If you have any questions, call us anytime. We’re always here to help with any of your plumbing needs, emergencies, and plumbing care.